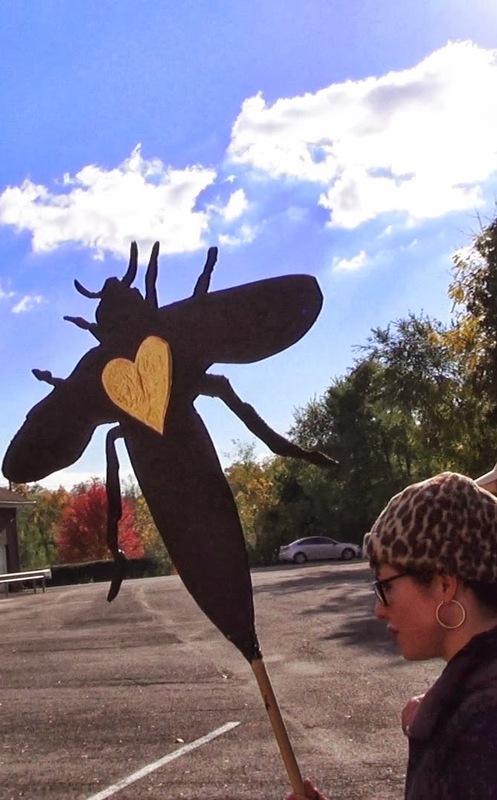 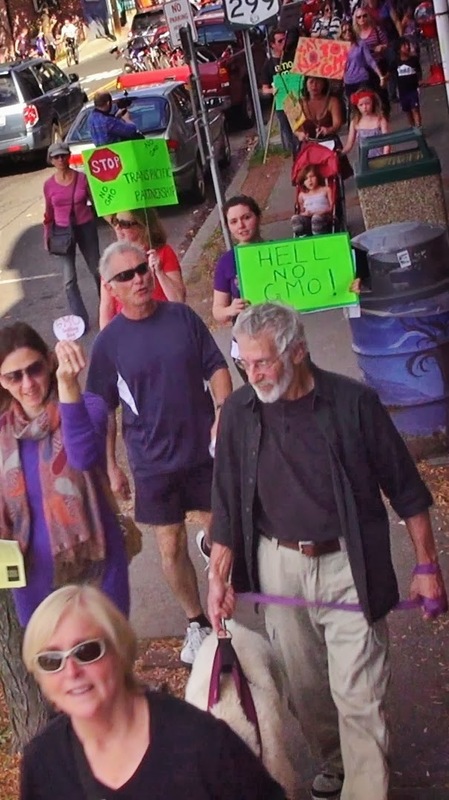 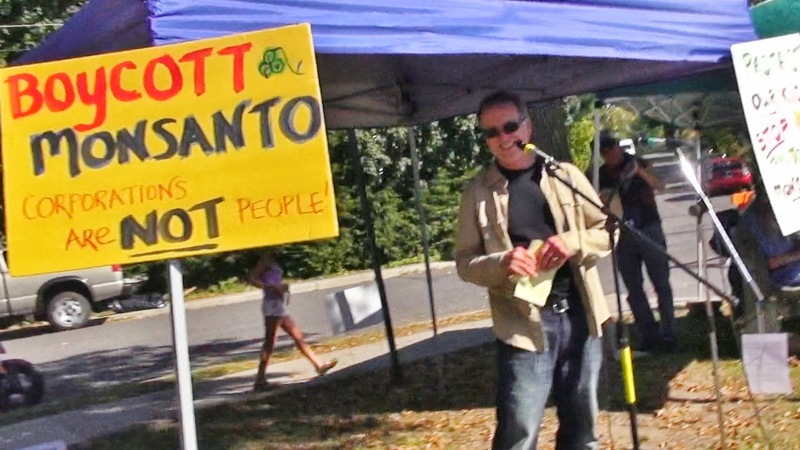 Hudson Valley for No GMOs: Oct 12 March against Monsanto in New Paltz! 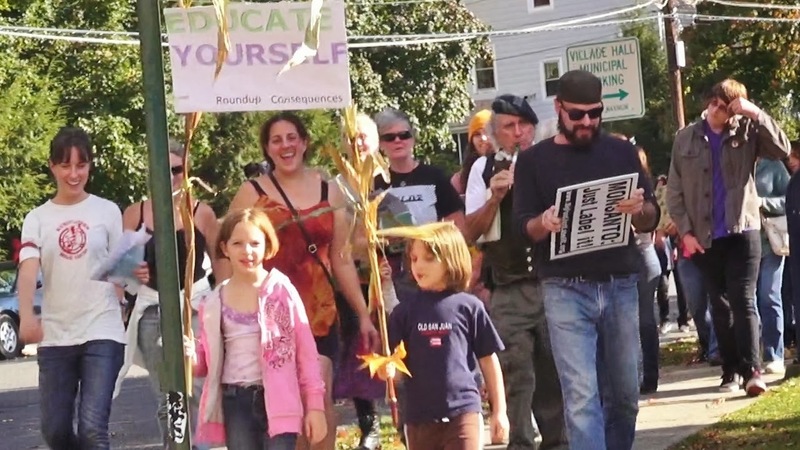 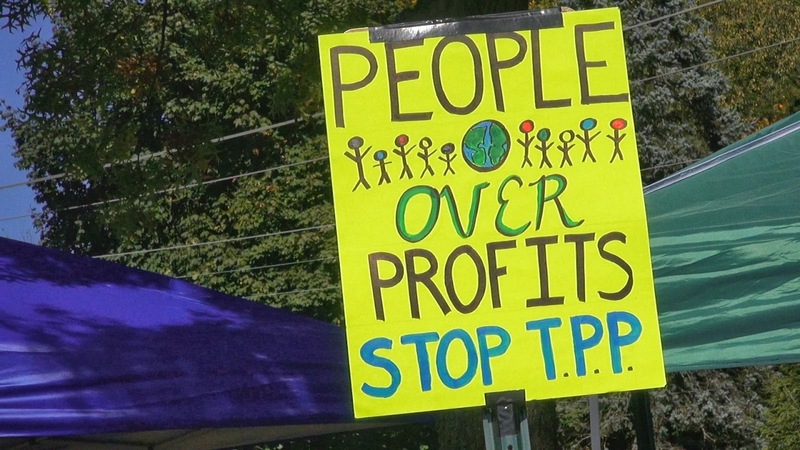 Oct 12 March against Monsanto in New Paltz! 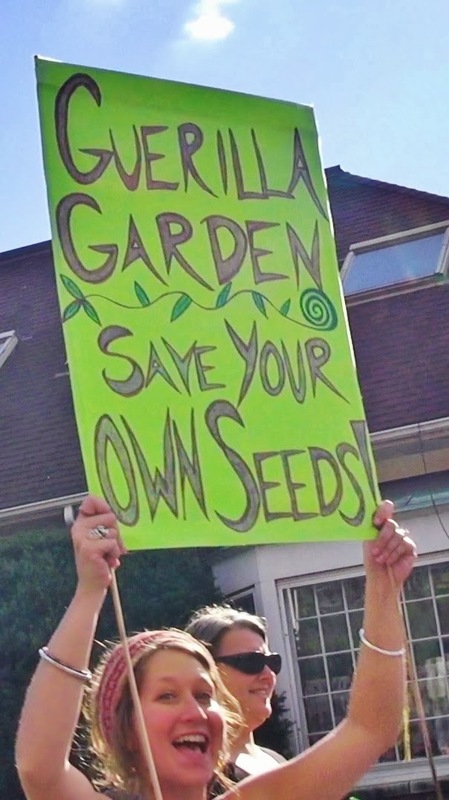 The world came together as one yesterday to stand for seed freedom, safe, healthy food and a liveable planet! 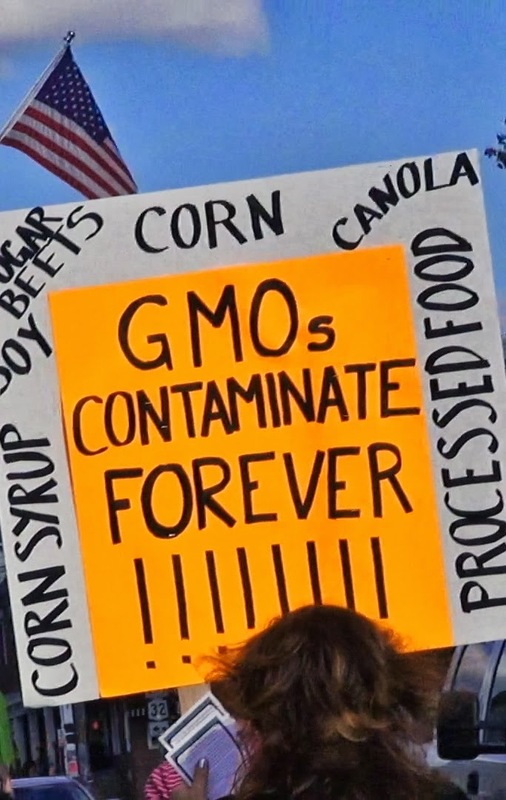 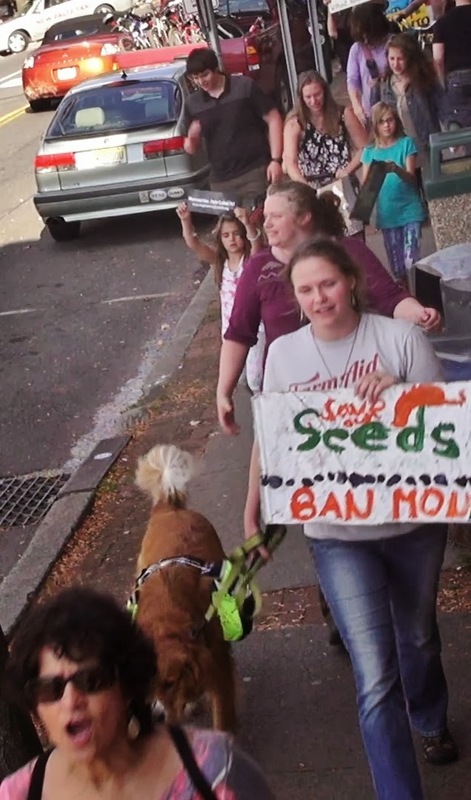 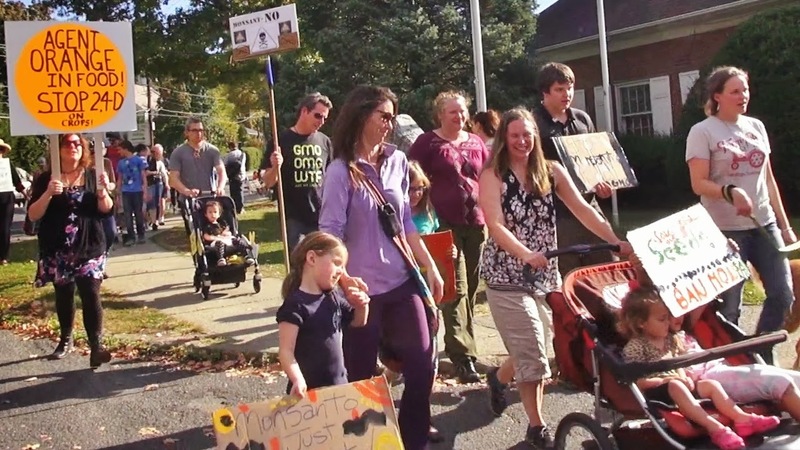 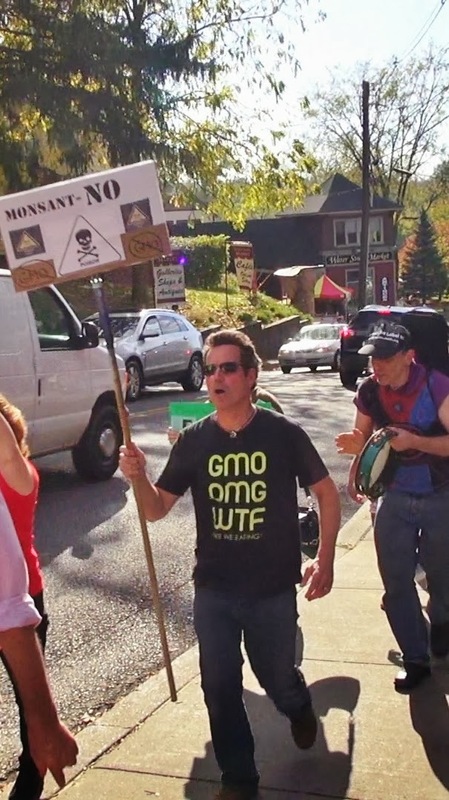 New Paltz was again well represented with about 200 marching down Main Street to say no to GMOs (genetically modified organisms) and the contamination of the world food supply by Monsanto and the biotech industry. 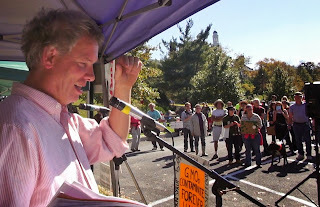 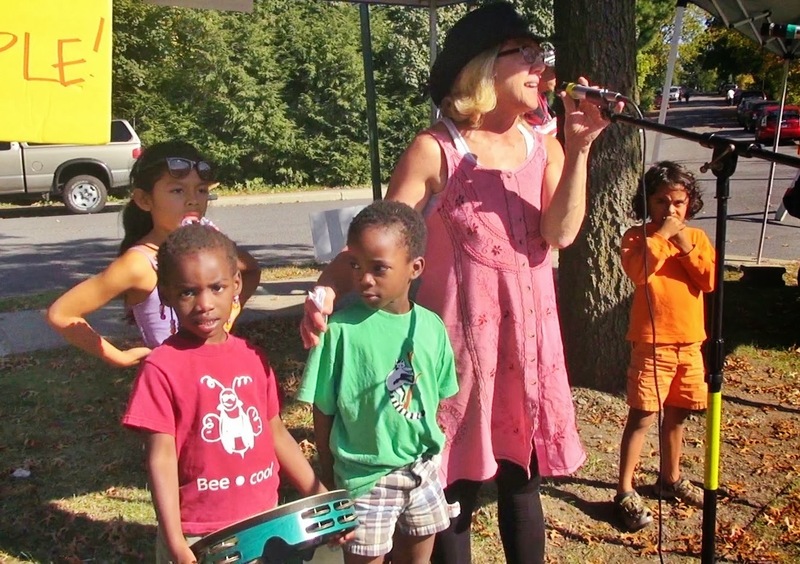 We thank our speakers; Tom Sharrard of GMOFreeNY.org, Joel Tyner, Dutchess County Legislator, (aka MC Whitebread!) 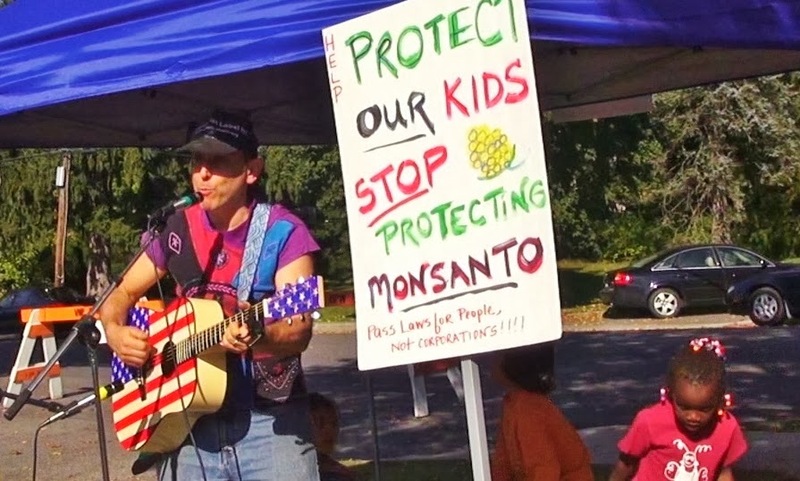 and Linda Borghi, Abundant Life Farm. Thanks too to Tim Hinter who led us in song. 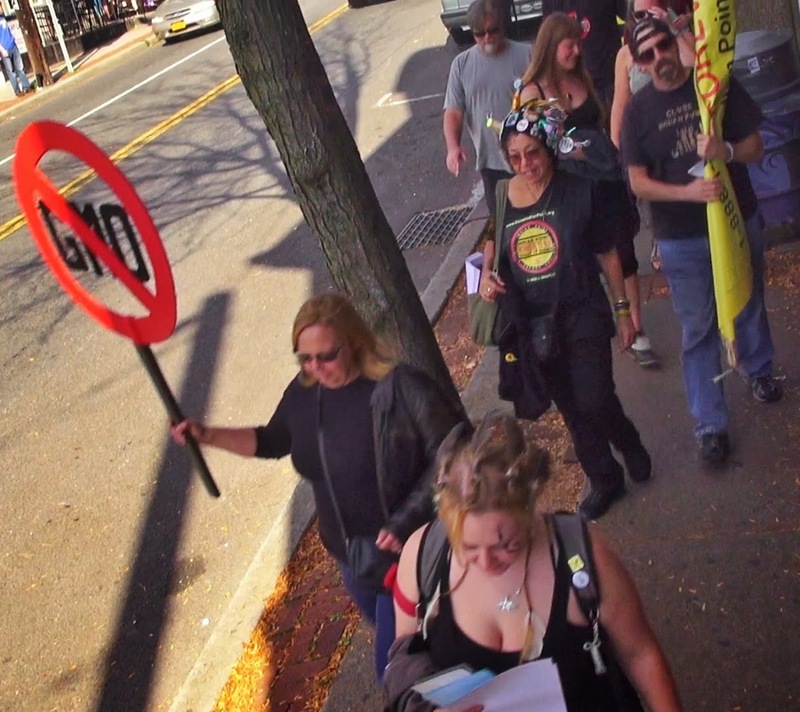 Beth and Barb, who organized the march, also spoke. It was wonderful to see so many young people in attendance and the level of enthusiasm and passion for creating a non-GMO future was high. 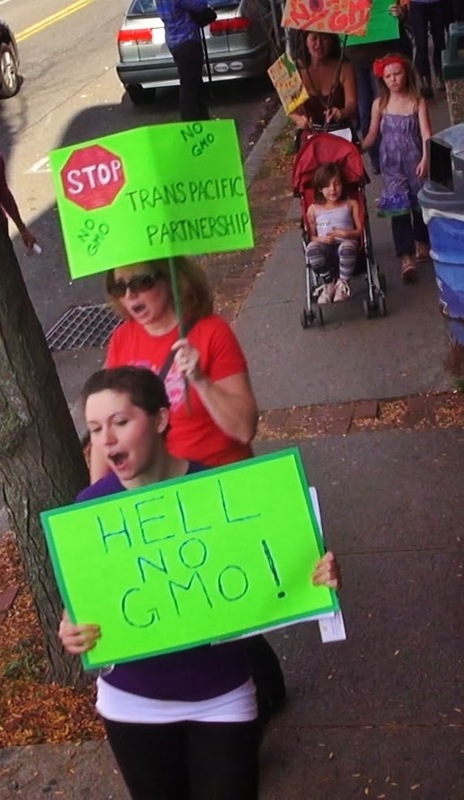 Both Tom and Joel spoke of our need to pressure state legislators to back NYS GM Labeling, which Hudson Valley for No GMOs is making a priority. 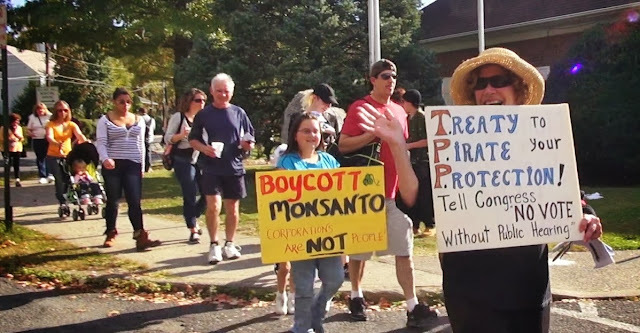 Stay tuned for future actions to make this a reality in 2014! 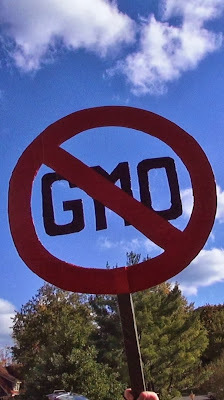 To be on our mailing list send your email to HVnoGMOS@gmail.com. 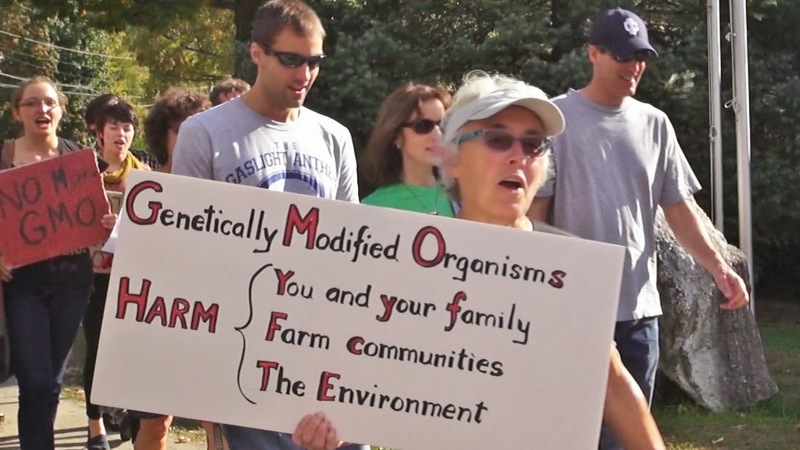 You all sure look great in the photos below! 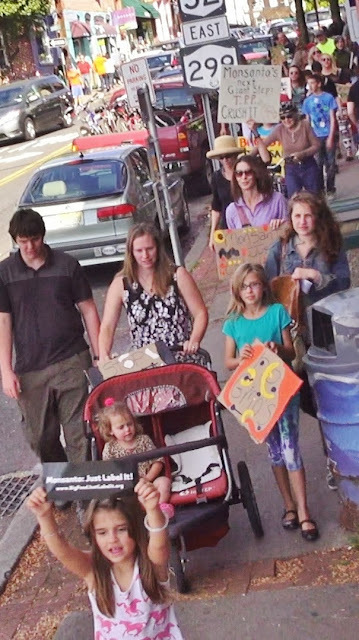 Thanks to everyone who came! 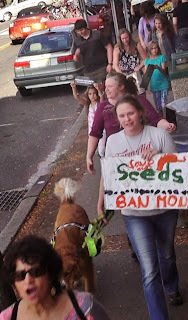 Special thanks to Joe and Russell for helping to set up, to Saul Rozinsky and Tom of the Beacon Sloop Club for bringing the super-duper, solar-powered sound system, to all who volunteered to lead chants and marshal (you did great) and to Gomen Kudasai for the delicious organic samples! We need help growing this movement. 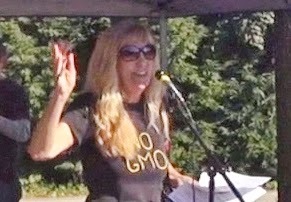 Please invite your friends to like us on Facebook- https://www.facebook.com/pages/Gmo-omg-Hudson-Valley-for-No-GMO/131115900297761 We need more to join one of the biggest grassroots movements in history to take our food back! Please support the Supporters and Sponsors of Our Marches against Monsanto and of Hudson Valley for No GMOs! 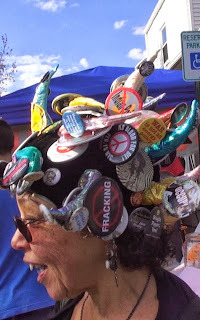 Photos on the national MAM site from all over- we are represented!